Around the world 1 out of 91 kids have autism. There are different intensities of autism, some are way worse than others. Some people or kids who have autism are able to actually control themselves when they get too much of an emotion. 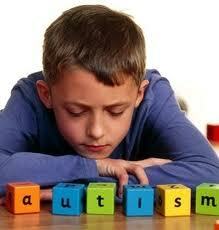 There is no known knowledge of the causes of autism. Brain scans show differences in the shape and structure of the brain in children with autism versus neuro-typical children. The biggest question that people ask themselves is: “How do I know if my child has autism?” There are a few different signs of knowing if your child has autism. One sign is that if your child doesn’t babble or point by age 1, also no single words by 16 months or two word phrases. No response to their own name, loss of language or social skills, and also poor eye contact. Lining up their toys or other objects, and no smiling and unresponsive a lot of the times. These are all early signs of knowing if your child has autism. The later signs of knowing if your child has autism are when they have trouble becoming social with other kids their age. They aren’t very good at holding a conversation with someone for a long period of time. They also repeat themselves a lot and have their own way of how they word things. There aren’t just genetical problems with autistic kids but there are also environmental issues with it too. Environmental issues such as toxins like mercury. Many children with autism or those who are at risk of developing autism have a metabolic impairment that reduces their ability to rid their bodies of heavy metals and other toxins. The buildup of these toxins in the body can cause brain and nervous system damage. Unfortunately there is no cure for autism but you can help your child to learn how to deal with their disability. Therapists who deal with this disability use highly structured and intensive skill orientated training in order to help the child to get better with their social skills. 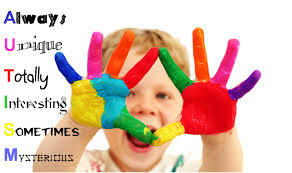 Also family therapy is a good thing to do especially those families who have an autistic child. It would help to get the family to learn more about autism and also how to cope with it.